When you make your visit to Riga there will be the chance to visit the casino and who knows, you or one of the group could win the cost of the trip or more. They are open all year round, so there is no need to try and book the trip to fit in with the opening months. When 6 of you book for a visit of the Old Towns casinos there will be an English speaking guide, entry to the Casino and if you want a return trip to the hotel that can be provided. Most will want to stay out on the town and enjoy the winnings, or drown the sorrows if there is a loss. This is the ideal way to get the evening off to a good start and the two hours you spend in the casino can be the start of a great night out. You will need to take money for placing bets as that is something that is not included. Food and drink is not included either, but the casinos will be able to provide you with sustenance while you all sit around the table. 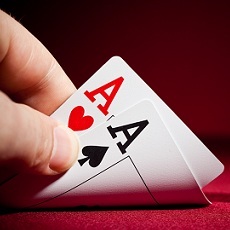 Find out who has the luck, and who is the most skilful gambler out of your group. 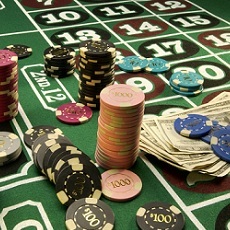 Although Riga is not Las-Vegas the city offers a good choice of high quality casinos and gambling halls. Try your skills against your mates in a number of games and see if you can take the house. Try your hand at all the games in the casino and see if you can achieve the high-rolling status at the tables. Additionally to all services friendly staff, cash bar with a wide selection of drinks and restaurant are available on-site. Riga becomes more and more popular for travellers loving to gamble. As Russia has changed the laws the tourist flow has increased. Local casinos and has on offer Draw Poker, American Roulette, Oasis Poker, Black Jack, Open Poker, 3 Card Poker and Ultimate Texas Poker and.